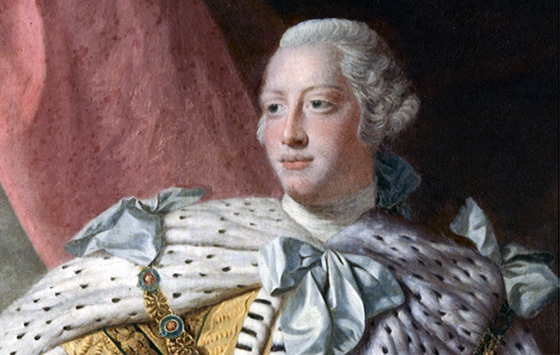 On this date in 1775, King George III of Great Britain went before Parliament, declared the American colonies in rebellion, and authorized a military response to quell the American Revolution. So, in a way, this Presidential election business is his fault. Among other things, this is also Worldwide Howl at the Moon Night. When a dog howls at the moon, we call it religion. When he barks at strangers, we call it patriotism. Florida man gets in fight over alleged soap-scented cigarettes. The KGB Quotations Database has passed 40,000 entries. Check it out. Some people born on October 26 who said some interesting things: Hillary Rodham Clinton, Pat Conroy, Napoleon Hill, Beryl Markham, François Mitterrand, and Mohammed Reza Pahlavi (Shah of Iran). Dos Equis debuts its new most interesting man in the world/a>. Meh. The last one was once played a redshirt on the original Star Trek series and survived. The new guy is French actor Augustin Legrand. Meh, I say again. Remember the old Saturday Night Live for Scrotox, botox for the scrotum? Well, it's now a thing. Swell. Skynet is real. The government is building robots with artificial intelligence that can autonomously decide who to kill. Chris Christie finally implodes. Former aides have now testified under oath that Christie knew of the lane closures—ones that would strand thousands of motorists on the George Washington Bridge- in advance. "Trump" first entered English in the late 14th century, as the modern language was taking shape. At the time, trump had nothing to do with a trump card, though. It didn’t even have the same Latin root. A trump was a trumpet, and if you trumped, you were just blowing a horn. Trump also means, especially in British English, to break wind. It all makes sense now. Donald Trump, who said 37 false things on Monday, calls fact checkers 'scum'. In 2014, Donald Trump told a reporter, "I don't like to analyze myself because I might not like what I see." Recordings of the interview reveal a man who is fixated on his own celebrity, anxious about losing his status, and contemptuous of those who fall from grace. They capture the visceral pleasure he derives from fighting, his willful lack of interest in history, his reluctance to reflect on his life and his belief that most people do not deserve his respect. As you see, KGB Report is now a daily effort, and I'd appreciate it if you can share us with your friends and, perhaps, click on the link below and become a patron. Aside from some consulting work, KGB Report is looking more and more as becoming my main source of income. So if you like us, chip in a buck or ten every month to keep us on the air. Becoming a patron will also get you free copies of some upcoming quotation collections on Amazon and Kindle. Thanks for your support!